A legal notice from the Adani Group led to the resignation of the EPW editor. Here’s what being sued means for an investigative journalist. Joseph was referring to the Rs 1,000-crore civil defamation suit that was slapped against him and his publisher by Jet Airways late last year, for writing about alleged links between Naresh Goyal, the founder of the airline, and underworld don Dawood Ibrahim in A Feast of Vultures, a work of investigative non-fiction looking into the collusion between businessmen, bureaucrats and politicians in India. “This is not the first time someone has written about it, but nobody has done it in such a detailed, methodical manner,” he said. For someone who has had to quit many jobs because of the insidious layers of censorship operating within the media, the journey to publishing a book, surprisingly, hasn’t been tumultuous, although one that ought to be written about. For A Feast of Vultures, which is Joseph’s first book, he spent a fortune hiring the services of a US-based editor just to work on fine-tuning his proposal and the chapters. “I was sitting on piles of research and wanted someone to help me shape it into a proper narrative.” His one important brief to his editor was: “I want the rage to be seen clearly.” He was also very clear he wanted the book to speak to a global audience. Hence, even well-known figures and events were meticulously contextualised. The editing dragged on for months, after which his friend,and fellow investigative journalist Aniruddha Bahal introduced him to the late literary agent Gillon Aitken, who instantly took to the book. “Gillon told me that the subjects of corruption and nepotism were very close to his heart.” When Aitken asked him if he would like a signing advance to help him finish the book, the latter firmly refused. When he shared some of the chapters with his close friends, most of them well-known journalists, everyone asked him if he had the necessary documentation to back the sensational claims he had made. One even made the bizarre suggestion of turning the book into a work of fiction, citing Aravind Adiga and other Indian writers in English who had successfully written about corruption and the rich-poor divide, albeit in a fictional setting. Ironically, the only friend who didn’t have any such suggestion, and only wanted Joseph to make his chapter openings more compelling, was a non-journalist – a US-based engineer with several patents to his name. Before the proposal was formally sent out to publishers, his agent tested the waters with one top publisher. I wondered if this was because of the nature of the book, but Joseph insisted that at no stage did his agent bring up the issue of libel. The book began receiving high offers from every publisher it was pitched to. Ultimately, the rights went to HarperCollins India, not only because it was the highest bidder but also because their publisher Karthika VK (who has since resigned) was convinced about the book. She felt that there had been books on the subject of India and its democracy, but none that she knew of which actually explored its darker side. Most of all, Karthika felt that the book was one whose time had come. A few months after the book was published, Josesph ran into one of the editors who had been outbid. She told him how her team would have offered a much bigger advance were it not for the initial constraints and caution of a start-up. After her first reading of the book, she had asked Joseph’s agent to congratulate him for writing a “cracker of a book”. Several big media houses, including some of Joseph’s past employers for whom he had unearthedsensational scams, chose not to mention or review the book. Journalist Aditya Sinha sums up this complicity or sheer disinterest succinctly in his sharp column in Khaleej Times: “You would think that Joseph’s book, being newsworthy and relevant, would be a talking point for newspapers big and small. Such is not the case.” After Sinha’s column, The Hindu carried a largely insignificant extract from the book, but there have been few reviews or articles on the book. A media house in fact sat on the book for weeks, only to say they wouldn’t be doing anything since it had nothing new to offer. “I can point out hundreds of things in the book that are not out in the open, starting from the whole section set in the aviation industry. Only one correspondence in those chapters is out in the public domain,” Joseph counters. Whatever reviews that the book has managed to get are overwhelmingly positive, barring a review in Swarajya magazine which called the book “problematic because of the assumptions the author makes and the conclusions he draws”, and labelled the author a great, albeit biased, reporter. 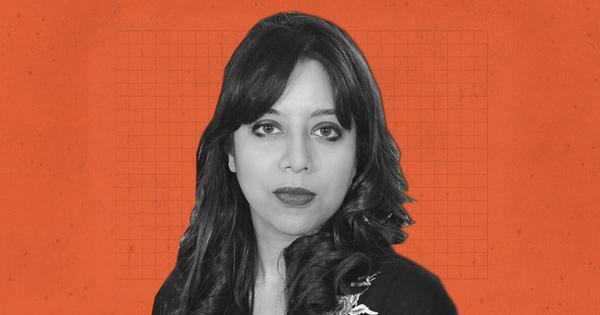 In the past year, another controversial book, Rana Ayub’s Gujarat Files (Joseph calls her a “brave, headstrong journalist”) had met with a similar fate. Although the mainstream media ignored it, it was a massive bestseller, and went into multiple editions. Both these books have sold because of social media and sheer word-of-mouth. In fact, Joseph didn’t even push his publisher for a multi-city tour, and was content with a quiet Delhi and Bangalore launch and a few launches in his home state of Kerala, organised by some of his friends. Joseph tells me he would be lying if he said that he didn’t feel a bit let down, but then, he is also not the type to seek out favours. Being a veteran in the industry, who has regaled me with stories of how adverse reports were shelved in exchange for full-page ads, he understands the inner workings of the media way too well to be outraged every time. 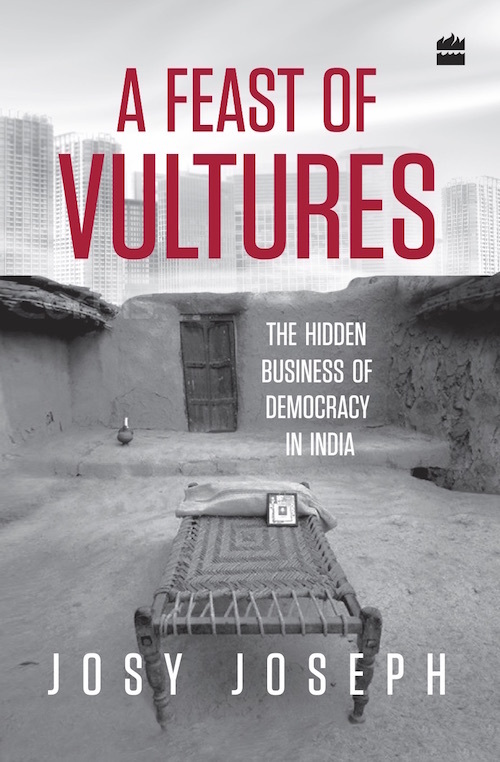 A Feast of Vultures features a controversial subject, and, as a publishing professional told me, “The book is written like a racy thriller. It almost reminded me of Hussain Zaidi’s Byculla to Bangkok, although that caters to the mass market audience, and this one doesn’t. I felt this even more strongly when I was going through the chapters about the aviation sector.” It’s been selling particularly well in Delhi (and in north India), and in the South. However, it hasn’t done as well in Mumbai, barring select bookstores like Kitabkhana and one chain of Crosswords. “At the steep price of Rs 599, it was never going to make it to the Amazon Top 10, but it has been in the top 100 or thereabouts right from the time of release,” the publisher adds. Already a frequent speaker at journalism schools across the country, Joseph has gained an even bigger fan following after the book’s publication, especially among the youth. 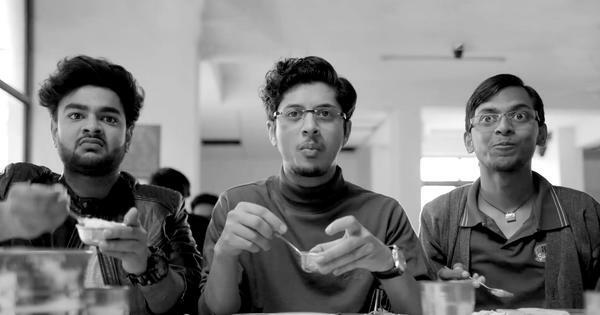 At last year’s Bangalore Literature Festival, a young NRI walked up to him and told him how much he aspired to be like him. A volunteer at his recently concluded TEDtalk in Mumbai went so far as to promise him that she would protest at the Mumbai High Court during the trial. “I thanked her, but told her courts are not a place for protest,” Joseph chuckles. Several legal luminaries have offered to fight his case pro bono. 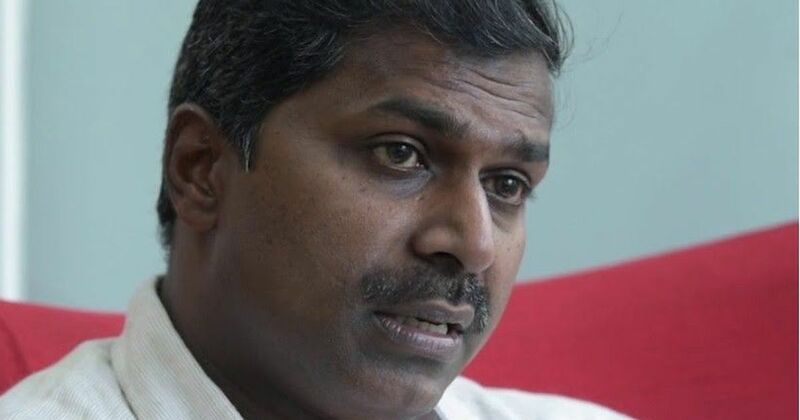 Joseph’s colleagues at The Hindu have suggested starting a crowdfunding campaign to help him with his legal fees, but he told them to start one for the courageous, and increasingly vulnerable, small-town journalists and RTI activists who have been fighting valiantly to “protect the idea of India”. A filmmaker has already bought the rights to Joseph’s biopic. Another filmmaker wants to adapt sections from the book into a film. A global filmmaker of Indian origin was so taken by the book that she has now become a close friend. A photographer is planning a photo exhibition on him in Europe. When I asked Joseph whether a biopic on him could be adequately dramatic, he said, “Most of my reports are a collection of skeletal facts. That’s probably because I never want to be the hero of the story. There are numerous, chilling stories behind them.” He went on to narrate one such story – a dramatic two-hour long meeting with the slain commander of the Hizbul Mujahideen, Abdul Majid Dar, back in 2012, during which men who couldn’t fully hide their AK47s under their shirts hovered about the two of them on the pretext of gardening.